Searching for a plumber that you can rely on for your plumbing requirements? Look no further. 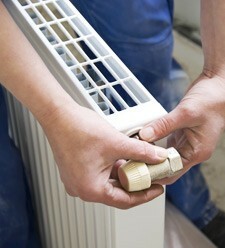 We're a team of experienced, qualified and reliable professionals covering the whole of Bristol. We don't charge call out fees, we're long established and we do a great job - so why even consider anyone else? Whatever plumbing problems or requirements you may have in your home, we're confident we can attend to them swiftly and with the minimum of fuss, so call now. We enjoy an enviable reputation in Bristol and the surrounding area proven by the number of customers who return to use us. For anything on the list, call now. Because we care about your safety, we'll only ever send you a Gas Safe registered plumber who follows British Safety Standards. It isn't worth taking risks, as poor work by unqualified personnel can lead to carbon monoxide poisoning and other dangers, so call in the professionals. Call Bristol 0117 345 9036 today. We offer free estimates and DO NOT charge call out fees.